The Unknown Photo above was submitted by "Don" Baker of Belvidere, with assistance of Dolores Whitney. The photo was from an album of his Mother, Mae Baker. 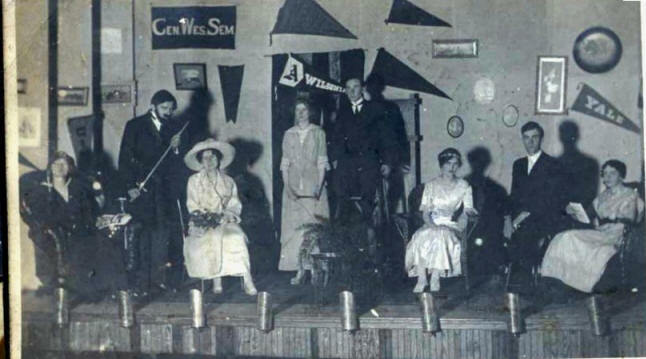 My guess is that it may be a scene from a play considering the various types of chairs the ladies are sitting on and that they appear to be on a stage. "Hi Ron, I will look at other pictures to compare but I think the one unknown from Mae Baker's collection is the old Wilsonian auditorium in Angelica. It appears to have a banner with "A" and Wilsonian printed on it in the background. "7/8/08.Bob Dorsey. The Unknown Photo above was submitted by "Don" Baker of Belvidere, with assistance of Dolores Whitney. The photo was from an album of his Mother, Mae Baker. I wonder if it is a Masonic or Eastern Star group. Using a lighted magnifying glass you can se that the sashes have a star in the area of the upper shoulder. and the ladies have the following various initials on the lower part of the sash. P C F ? ? L. The gentleman on the far right has a T on his sash. "Could the..... picture be a Grange picture? P Pamona; C Ceres; F Flora and so on. Just a guess. 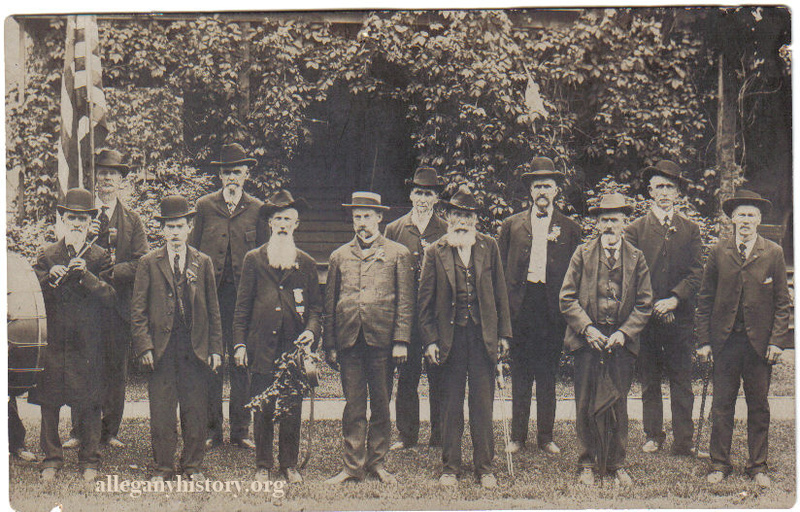 Bob Dorsey-7/8/08"
Allegany County, NY Civil War Veterans?--Unknown; Help Needed to Identify ------------- Replies: "-my great-great-grandpa,Franklin Sanford-front row-second from the right-hand on umbrella---Judy (Sanford) Guidara; 6/28/12"
Unknown Picture submitted by LINDA CLINE SMITH. I acquired some pictures that were I think some of Ella Cline Shear's. 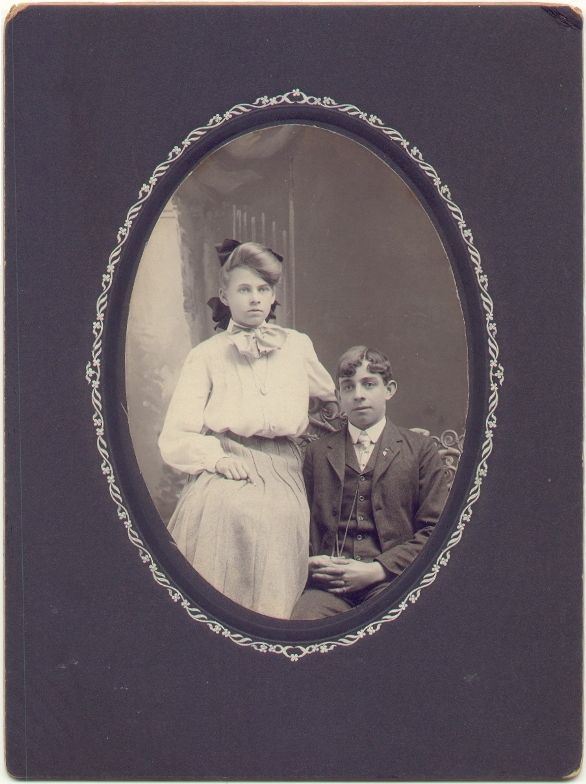 One is of a young man and lady and on the back says Norman Cline. I am not sure if this is Norman in the picture or not. Norman R. Cline m. Edith Clark and Norman is the son of Archibald and Ella George Cline. Archibald is my gg grandfather Ella Cline Shear is the wife of George Shear and the daughter of Norman R. Cline and Edith Clark. Photograph From Craig Braack. Cuba Health Camp & County Officials Health Camp at Cuba Lake Supervisors, staff, etc. About 1930. Can you help us identify who's who in the photograph? Notes from back of photograph: County Judge Ward Hopkins, Cuba; Dr. Bush, Rushford; Supreme Court Judge Walter Renwick, Cuba; Ben Rice, Friendship; Dr. Lewis, Belmont; Clair Lathrop, Angelica; J. N. Thompson, Angelica; Fred Mulkin, Friendship; Jack Almy, Friendship; Dr. Fuller, Friendship; Harry Kemp, Andover; Allen Mapes, Friendship; Harry Halsey, Belmont; William Hall, Angelica. "I have found a picture dated 1910. It looks like two trains. I can see Erie on the side of one of them. 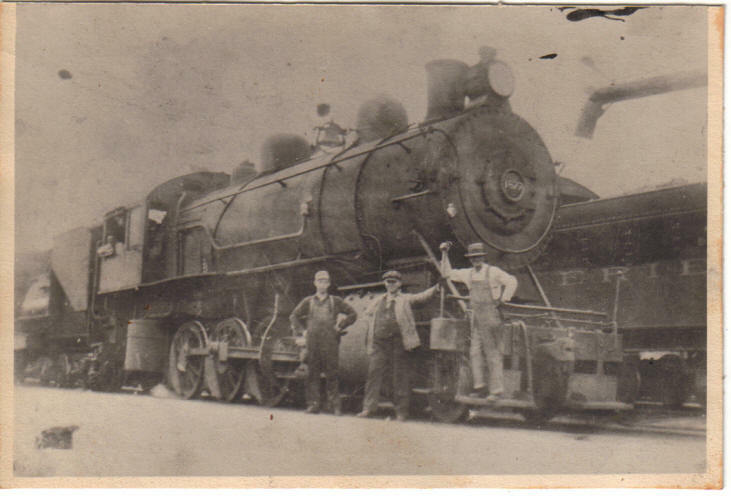 the number 1877 (I think) is on the front of the other train. There are four men in this picture. I don't have any info on this picture. 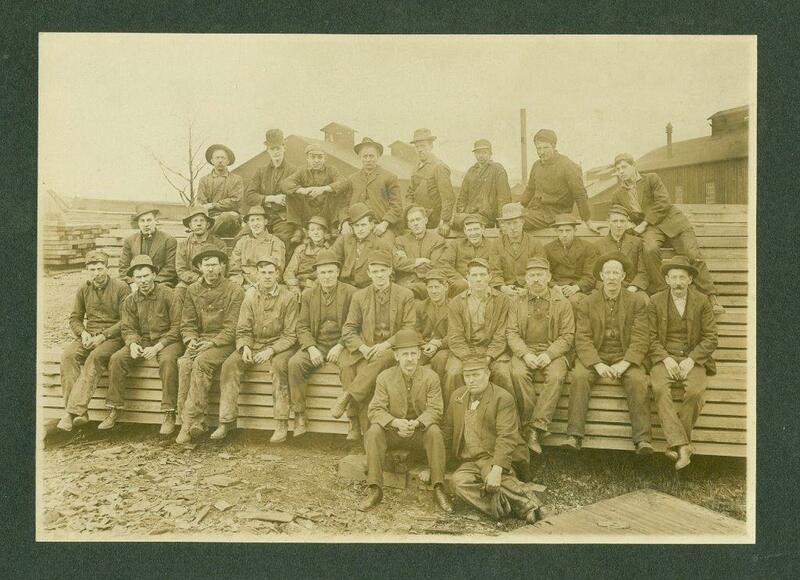 I think that I did have some family that worked the railroad but there is no way of knowing who these men are unless someone recognizes them. Pam Vincent." 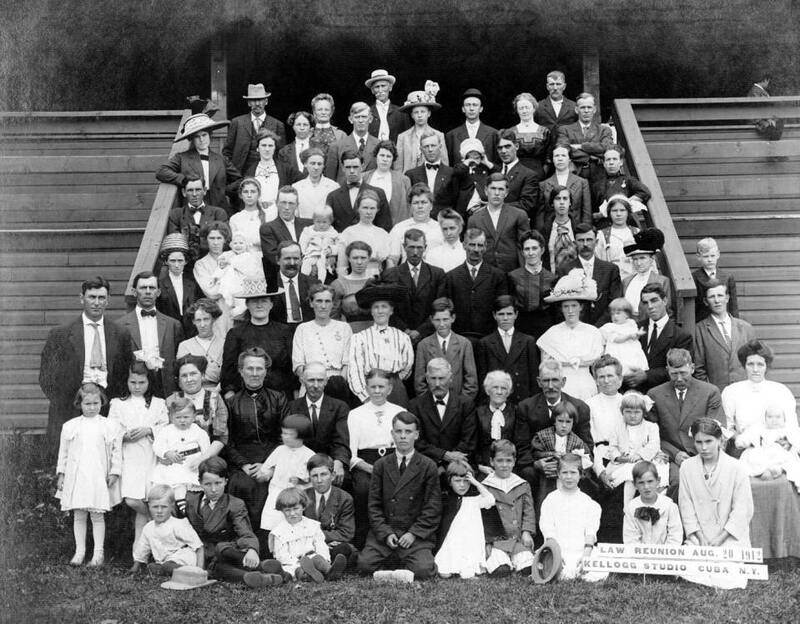 LAW FAMILY REUNION - 1912; I have a picture I am attaching that is the Law Reunion taken August 20, 1912 by Kellogg Studios, Cuba, NY. I know a couple of people in this picture and would like your help to see if anyone else knows any of the rest of them. Cora A. 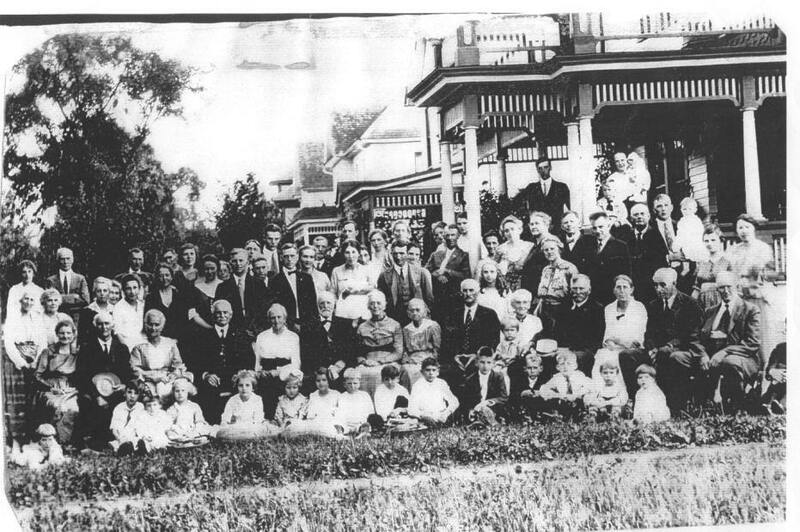 Law and her husband William Law are in the next to last row on left hand side of picture in the back. Cora and William were the grandparents of my husband and lived in Rushford, NY We now live in Pennsylvania. EMAIL: Joyce Law (truckdw3@comcast.net) or Webmaster. 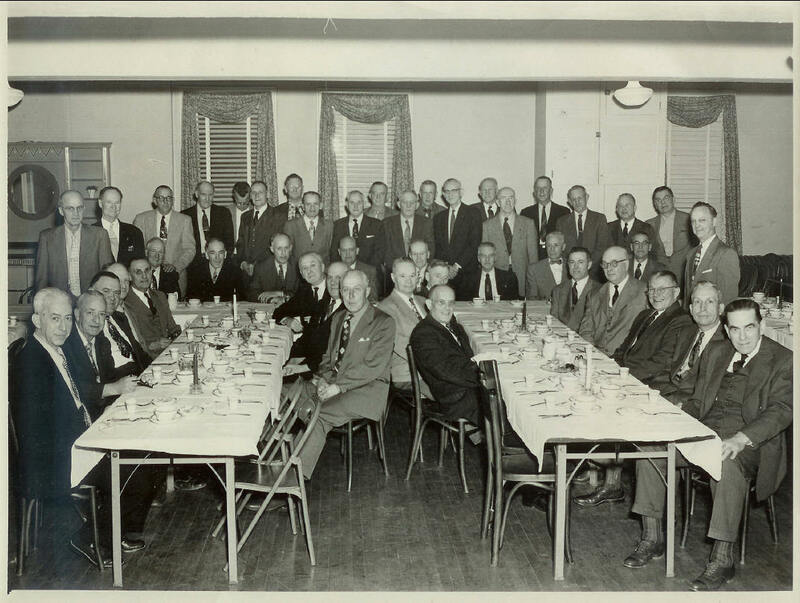 American Legion Dinner for World War I Veterans, Wellsville NY; February 1959; from archives of Thelma Rogers Genealogical & Historical Society; submitted by Mary Rhodes. Who can help provide the names of these veterans? EMAIL: RON TAYLOR HERE ARE THE FIRST NAMES SUPPLIED BY VIEWERS. (Keep them coming and we will add them here. Seated - LEFT TABLE: 6th from Left, Claude Nottingham; 7th from Left, Leo P. Anderson (Wellsville) Seated - RIGHT TABLE: 2nd From Left, Leonard Snyder (Andover) Seated - REAR TABLE: 2nd from Left, John Allen; Far Right, John Bush. 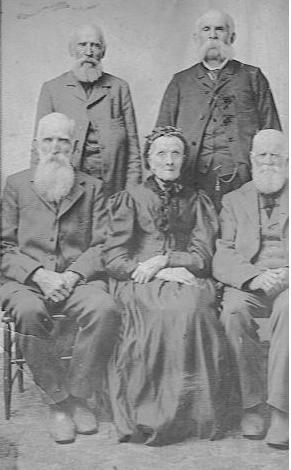 (ID help from Bob Moran) Standing: 2nd from Left, Raymond Snyder (Andover); 3rd from Left, Carlyle Myers (Andover). Standing: Far Right, last man is Barney Schreiner (identified by grandson Stephen). 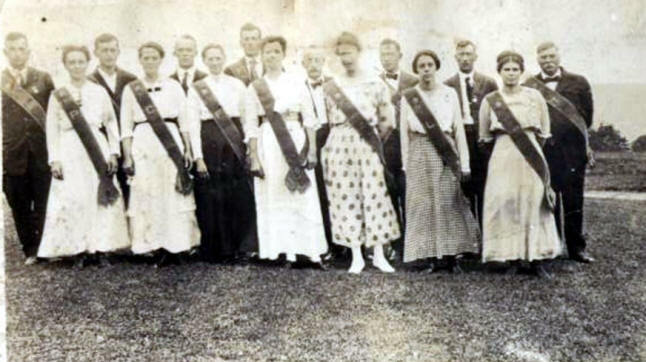 Standing: 11th from the left, Perry Lester Dence (Belmont); identified by granddaughter, Sharon Shipp. From Newfoundland comes this request: My father-in-law lived in Wellsville in 1944-46. His father worked on the Philips Farm. Attached is a picture taken around that time of his classmates. The school was Martin Street School. His name is Reg Downton and he attended elementary school in Wellsville. The picture was taken outside of the school. It was taken either in 1944 or 1945. He's 9 years old and I believe it was a Grade 4 class? His father, Harold, worked on the Phillips Dairy Farm. The family stayed at a hotel operated by the Chapmans. 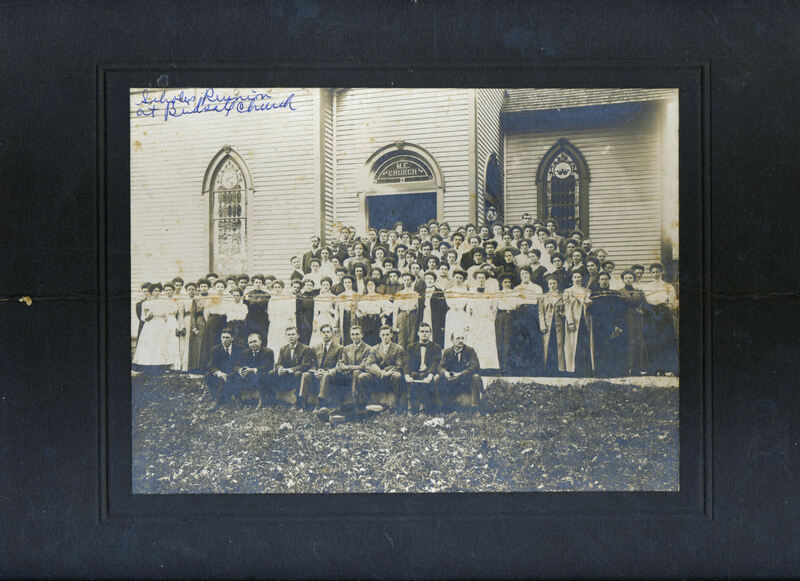 They lived in Wellsville for two years, returning to Newfoundland following the war. My wife and I visited Wellsville two years ago trying to find some of the buildings he remembered. We took numerous pictures, but the town has changed quite a bit since the 1940s. You have a beautiful community... and the trees and scenery is phenominal. The older homes and buildings, well, let's put it this way... I live in a town that was founded in 1906... From what I've read, you have such a rich history dating back to the 1700s. Again, thanks for the quick response and hopefully someone can put names to these faces! 1945 Wellsville, New York 2nd from left - Reg Downton 4th from left - Leo ? Last boy is Philip ? 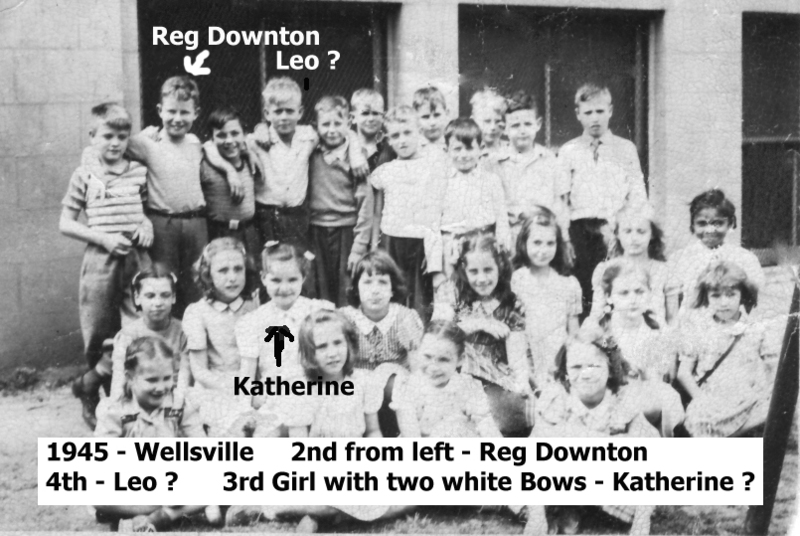 Girl - 3rd from left with two white bows - Katherine? I am very interested in Allegany County since most of my family came from that area. I am related to the following families: Selover Family (of Birdsall and Belmont) Gregory Family (of Birdsall) Gillis Family (of Birdsall and Angelica) Scholes Family (of Birdsall and Angelica) I was wondering if you would consider posting a few pictures on your "unknown pictures" page? If so, I would be very grateful. I have many pictures of my family and Allegany County area that I can identify and many others that I can't. I'll send 4 of these "unknowns" to you. 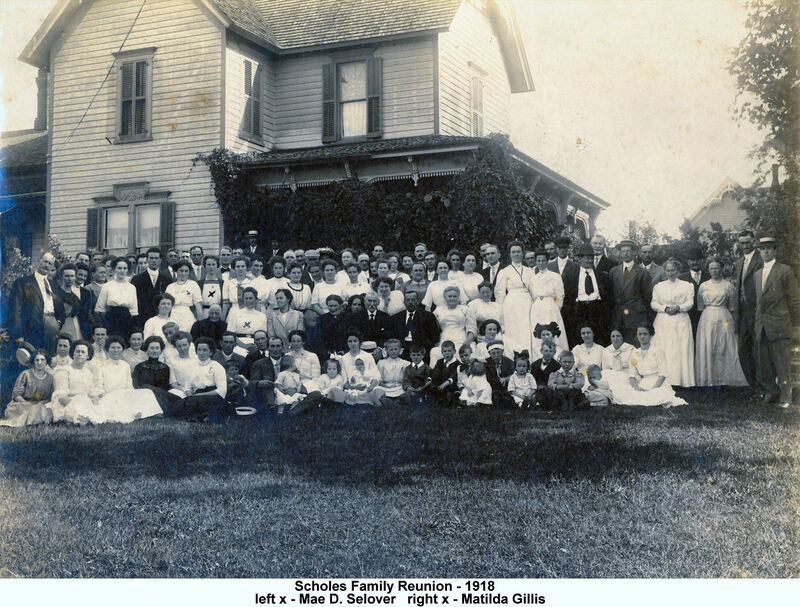 These unknowns, submitted by Kevin McKenney - Pipersville, PA (kevinmckenney@comcast.net) ScholesFamilyReunion1918.jpg -- This photo of the Scholes Family Reunion was taken in 1918 (probably near Birdsall or Angelica). I can only identify a few people in the picture. I would be very interested to see if anyone can identify others in the picture. I am very interested in Allegany County since most of my family came from that area. 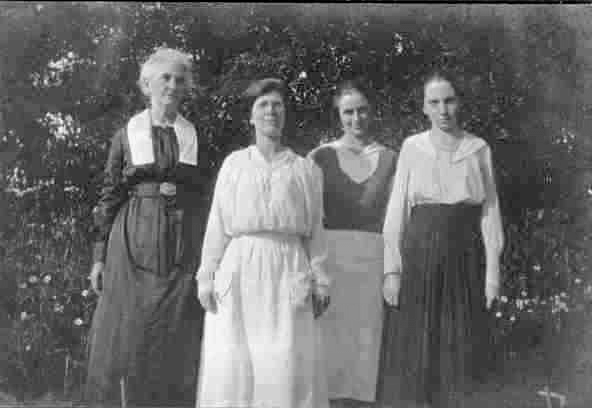 I am related to the following families: Selover Family (of Birdsall and Belmont) Gregory Family (of Birdsall) Gillis Family (of Birdsall and Angelica) Scholes Family (of Birdsall and Angelica) I was wondering if you would consider posting a few pictures on your "unknown pictures" page? If so, I would be very grateful. I have many pictures of my family and Allegany County area that I can identify and many others that I can't. I'll send 4 of these "unknowns" to you. 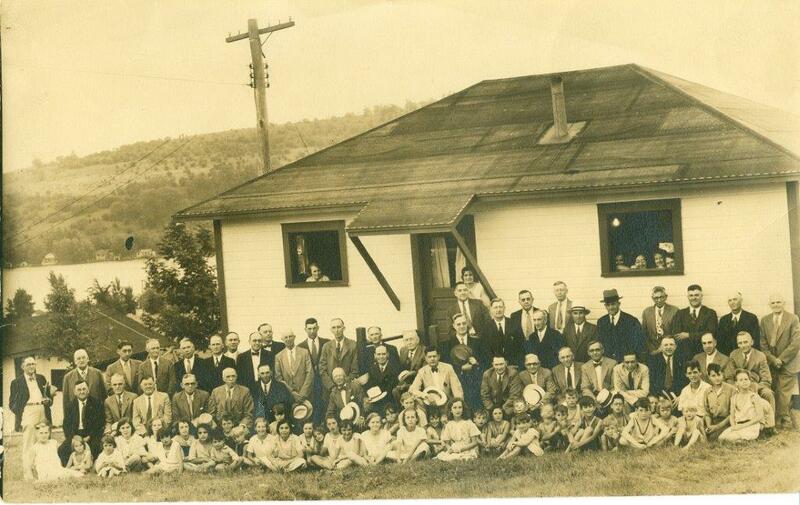 These unknowns, submitted by Kevin McKenney - Pipersville, PA (kevinmckenney@comcast.net) This photo is another Scholes Family Reunion. It was taken at the Methodist Church in Birdsall. Peoples names?